I get peace of mind sticking to a routine everyday because it means I usually know what’s going to happen and can plan accordingly. Most days of the week I can stick to a routine or schedule. On some days, like weekends though, I’m ok “winging it” and letting my child nap on the go. I can’t imagine leaving a social situation like lunch or coffee with friends because my child needs to go home and nap. My baby fits in with me, naps wherever we are - we’re a team! Which of the following do you agree with most? Having to stick to a by-the-clock schedule stresses me out. My life is too unpredictable for that. I prefer if my child naps around the same time everyday. I really like knowing when I’ll have a break. I can stick to a routine for part of the day, like morning naps at home. But I have other commitments (like carpool) which means my baby will have to be a bit flexible and nap on the go. Which of the following best describes your way of thinking? Most nights we'll have the same bedtime. But occasionally I’m ok with stretching bedtime later if other plans come up. I prefer to let my children decide when they want to sleep. I prefer to have a set bedtime for my kids each night. I just really like having a plan. Which of the following do you identify best with? I’m ok readjusting my daily and nightly routines for my children. I think babies and toddlers do best with regular feeding and sleeping schedules. Children should fit in with the lifestyle of their family. And I don’t mind being flexible to suit my kids. I think having a basic routine for days and nights is ideal. But I don’t get stressed out if that routine goes out the window. I don’t enjoy days when…. I'm not allowed to be flexible. But most of the time, I can make it work. The same things happen at the same time in the same way, so boring! Something (like an appointment) or someone pops up unexpectedly, throwing my daily routine out of sorts. As a Planner you like a bit of organization to your day. Whether it’s your busy lifestyle or personal preference, you feel happiest when things go according to plan. Breakfast, lunch, dinner, bath, bed. Then repeat! While others may find such a routine mundane, you thrive because you know babies do well with routines and frankly, you enjoy knowing when you’ll have down time everyday. You believe daily schedules are best for both baby and parent. There are so many surprises and curve balls that come with raising kids, so it’s nice to have a bit of predictability. You embrace nightly routines and consistent bedtime with open arms and will have few issues sticking to a sleep training plan. You’re a planner, after all! Make sure to go easy on yourself when things don’t go according to plan. Parenting is full of hiccups, so try not to stress too much about it. As a Happy Medium you are all about compromise and flexibility. You feel happiest when things are balanced. You’re happy to implement a baby schedule, because you know babies thrive on routine, but it may need tweaking to fit in with your family. You may have a few children with competing schedules and you do the best you can to make it work. You only get stressed on the hairiest of days. You’re ok turning down some social invites so baby can get to bed on time- unless it’s something really exciting! You can always get back on schedule tomorrow. Happy Mediums need to make sure that most days fall into similar patterns (consistent nap and bedtime) or they run the risk of everything getting off track- including baby’s sleep. As a Free Spirit you wake each morning, and take it from there. Sunny days call for impromptu trips to the zoo and friends dropping by unexpectedly are not a worry. You feel happiest when things are relaxed and spontaneous- you enjoy letting kids be kids! You don’t get easily stressed by mess or tantrums. You’ve never really been into routines yourself so baby schedules don’t really come naturally to you. You know your baby or toddler needs better sleep (as do you) but you’re reluctant to impose a routine- you’d hate to start watching the clock and rushing home for bedtime. Free Spirits run the risk of leaving no time to themselves, or their partners. A bit of structure, like consistent bedtime and nap times, would get your little one sleeping better and still leave plenty of time for spontaneity. Is your parenting style adventurous and dramatic or practical and orderly? 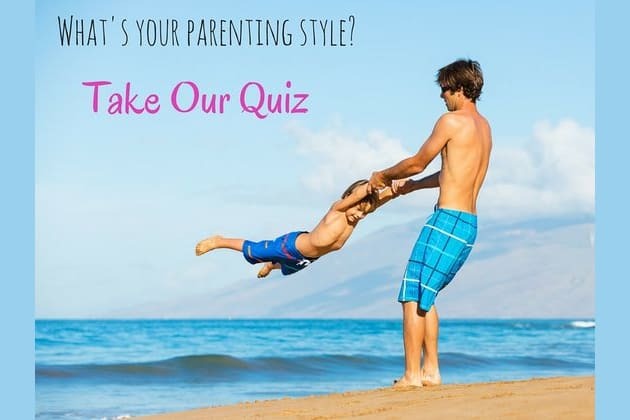 Discover what motivates and stresses you about being a parent with this FUN QUIZ. Use your results to get your baby or toddler sleeping better.